It would be extremely difficult not to chose Edmund Gwenn from Miracle on 34th Street. 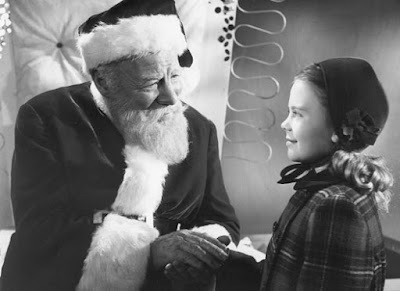 He is lovable, full of spirit and Christmas joy, it is rather impossible not to become attached to him as Santa Claus. 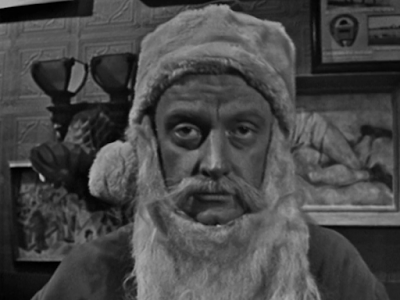 Art Carney in The Twilight Zone. This would have to go to the Twilight Zone episode "Night of the Meek." Art Carney does a wonderful job playing a derelict Santa Claus that is fired on Christmas Eve, he finds a mysterious bag that gives out presents and then sets out to fulfill his one wish- to see the less fortunate inherit the bounties of Christmas. A must every Christmas season. only like watching it during the holidays? And, why? I tend to save the Christmas entertainment for the holiday season. I usually will break out the Christmas music in November but try to hold off with the Christmas films till late November. l like to give it that special feeling you get during the holiday season, build up the excitement of getting to watch these classic films!! I still enjoy watching the specials as they are televised. It gives me that special feeling I had as a kid seeing the ad in the TV guide anticipating Rudolph, Charlie Brown, Frosty being televised. It feels like I am sharing the moment with others! Of course, there are some specials/ movies that do not get TV time anymore so I have my DVD ready with my favorite specials/ movies to enjoy as well! 1) It's a Wonderful Life- This is a must, need to have this with me just for the message alone. I would imagine I would experience frustration and severe loneliness on this island so the all powerful message It's a Wonderful Life provides is a necessity during my time on this island. 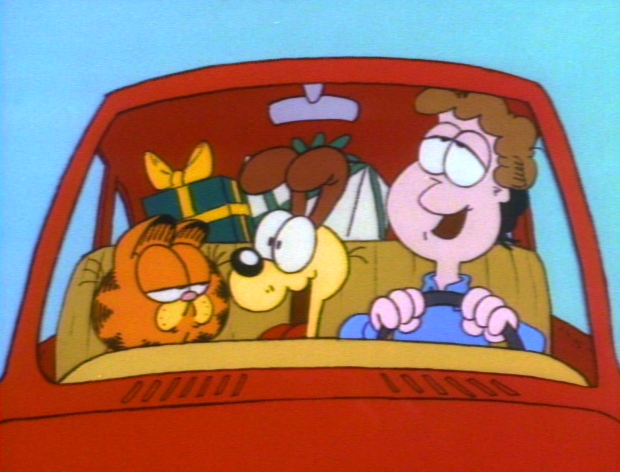 2) Garfield Christmas- Still laugh at this special to this day...being on a deserted island I will need a laugh and Garfield's Christmas will provide this on a much needed basis. 3) Mickey's Christmas Carol- I think just for childhood memories alone and the timeless story behind it, this special provides much needed memories and also a reminder of Disney's ability to tug at the heartstrings. I still tear up seeing Mickey Mouse tearing up over the loss of Tiny Tim. Such a classic! Love seeing Garfield Christmas getting a shout out. Not easy to find on TV anymore and an under-rated gem that has real heart. One of our favorites, too. Garfield Christmas seems to be getting more and more revered over time. It is fun and heartfelt. Nothing splashy, just sweet. Good answers! Love all of these! It's so hard to narrow it down when there are so many good ones to choose from. Night of the Meek is certainly high on my list of favorite episodes too. Thanks for sharing, Drew! I agree with Drew on saving the Christmas shows for the holiday itself. It makes it more special to me. I also love watching the specials as they are aired. It really is that feeling from childhood when it felt like we were part of a community and watching the same thing at the same time. I'm loving the variety of answers people are coming up with to comfort them on a deserted island. Thanks so much for reminding us of the lasting impact of Garfield's Christmas.